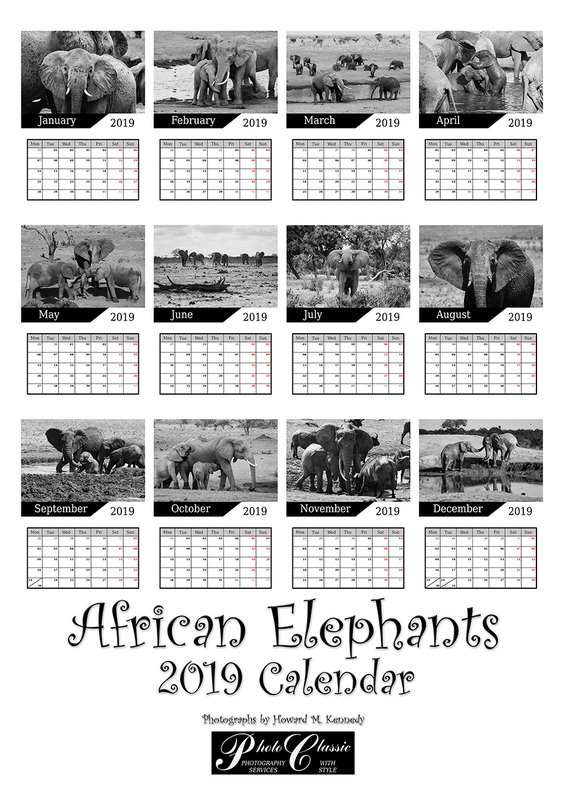 Thirteen beautiful black & white photographs from our collection of African Elephant images; a different image for each month and another for the front cover. Every photograph features free living, wild Elephants doing what comes naturally. All of these lovely images were taken in Kenya. This beautiful, limited edition A3 wall calendar comes ready to hang and individually signed by the photographer. There are only one hundred copies available and when they are gone, they are gone. The price for each of these stunning gifts is just £24.99 +p&p.